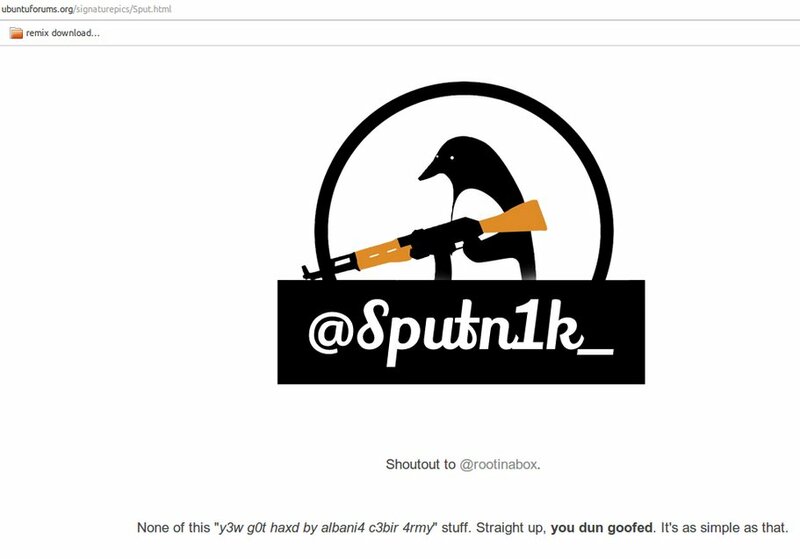 Canoncial , the company behind the Ubuntu Distro, has announced that their official forum "Ubuntu Forums" has been breached by a hacker with the handle @sputn1k_ . The company admitted that the hackers have compromised the database contains all user's username, password and email addresses. They said that the passwords are not stored in plain text. However, if you are using the same password anywhere else, it is better change it now because it won't take much time for the attacker to crack the hash. The hackers left the site defaced with a message saying ""None of this "y3w g0t haxd by albani4 c3bir 4rmy" stuff. Straight up, you dun goofed. It's as simple as that"
The company stated in the announcement that "Ubuntu One, Launchpad and other Ubuntu/Canonical services are NOT affected by the breach." Currently, Ubuntuforums.org displays the splash page saying "Ubuntu Forums is down for maintenance".